Our BDG friend Eric Jego has successfully completed his Blackmar-Diemer Gambit book, which is the 2011 English edition of his 2010 book Gambit Blackmar-Diemer (French edition). Below are some comments about this new edition. For my review of his original French edition, see my posting on Tom Purser's blog. The things I do like are major and many. Here are 14 of them. 1. The book is 164 pages written in English, which I read much better than French. 2. Jégo did an excellent job selecting interesting examples recent BDG play. 3. Over 50 times the players have been noted with FIDE titles (GM, IM, FM, WFM). 4. The 287 games have just about the right amount of verbal annotations. 5. While English is not Jégo's first language, game notes are very understandable. 6. The games are divided into chapters by variation grouping lines together. 7. 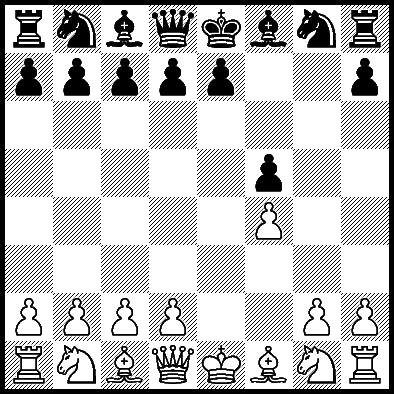 A rectangle box is drawn around the key move when games are in a different line. 8. Jégo has provided statistical analysis for each variation as to wins, draws, losses. 9. Jégo weaves throughout his 14 Elementary Principles in notes to every game. 10. The type of play is noted for each game: Classical, Correspondence or Blitz. 11. Most of the games come from actual live tournament play (“Classical”). 12. At the bottom of each page, there is a help to locate which lines are found above. 13. Actual ratings are given for each player when known. 14. There is an index to the players at the back of the book. The things I don't like are very minor and very few. 1. The font is slightly smaller in the English edition, but that allows the book to save a dozen pages keeping costs down. It is still quite readable for me. 2. The philosophical waxing of Dany Sénéchaud regarding gambit play does not flow well in English, but I think I understand what he is saying. It only takes up three pages. 3. The first initials of the players have been omitted. Instead of “Purser T”, for example, it is just “Purser”. Like the previous book, I highly recommend this book. I love it. Buy it! This book has only three of my games; these are not well known. Two were draws vs BDG experts. Today's game was an unrated club game vs Eugene Schrecongost played at Lycoming College in Williamsport, Pennsylvania in 1998. 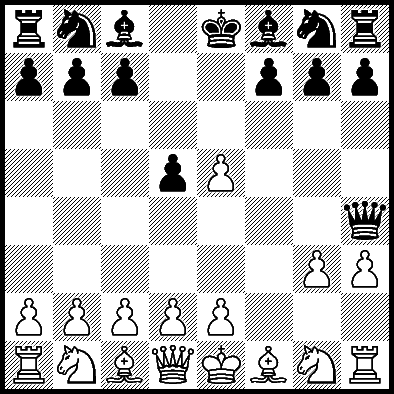 The game starts out as a BDG Accepted Ritter Variation (5.Nxf3 b6) but transposes to a Bogoljubow Variation 5.Nxf3 g6. White's set-up is not the best for the Bogo. "Schreck" played this game very well, except for missing my mate at the end. The notes below are mine. My new book Blackmar-Diemer Games 8 has 182 recent BDG games. 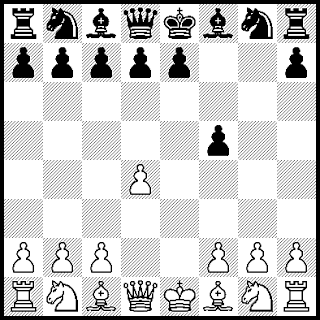 Winning in a symmetrical position is much more difficult as a rule than winning from a more unbalanced position. However, as Jeremy Silman points out, there are many types of imbalances. Even if pawn structure and material are even, there are issues to consider. 1. 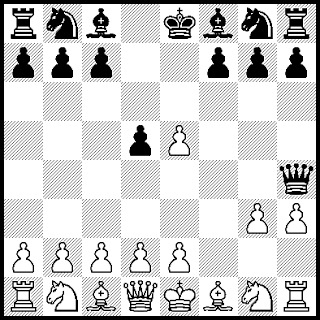 Elements of space, time, king safety, better minor pieces and combinative skill. 2. Entry points to determine where either side can invade the territory of the other. 3. Exchanges of material, determine which pieces to swap and when to swap them. 4. Endgames are coming so if there is no middlegame mate, head to the best ending. Recently I have been working on opening repertoires that I can play reasonably well vs higher rated opponents. I want ones that use my current skill set. Memorizing openings is an important skill. I know the value of memory, but I don't want to require myself to do too much memory work at my age just to survive a game. Another thing I try to avoid is sharp openings that require me to be tactical genius to survive. Sometimes I do get creative combinative ideas during games, but I other times nothing comes to me. 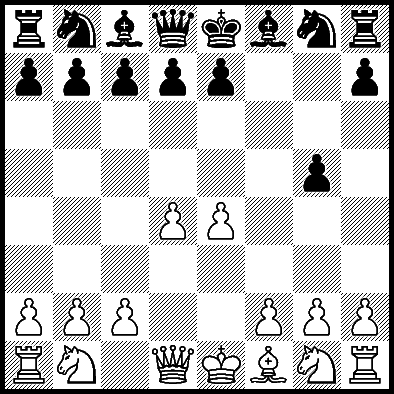 I prefer positions where the strategy is obvious to me, even if the position is most complicated and tactical. That way if I don't see a combination right off, I still know which direction to point my army. 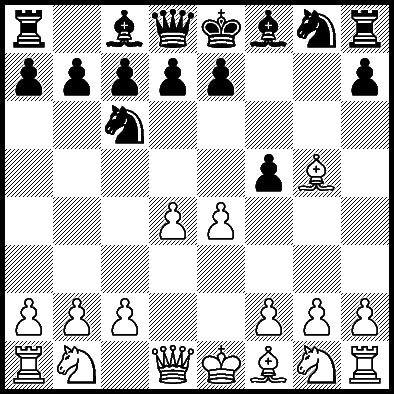 The Petroff, or Russian, is an opening I've played off and on for decades with mixed success. 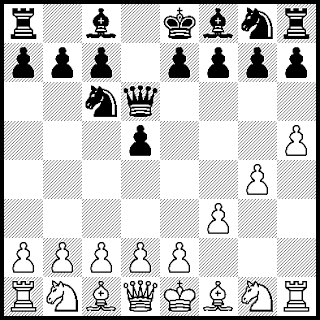 I bought Konstantin Sakaev's new book: "The Petroff: an Expert Repertoire for Black." I used to be an Expert, so I like the title already. It covers everything after 1.e4 e5. 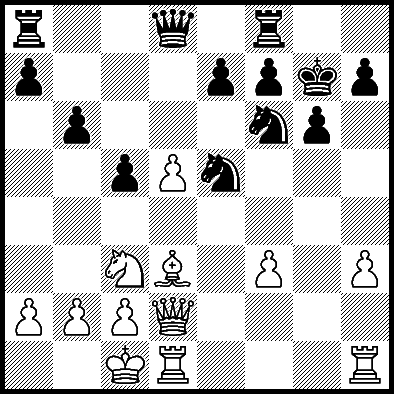 One of the Petroff Defence variations after the popular 2.Nf3 Nf6 3.Nxe5 d6 4.Nf3 Nxe4 is the symmetrical 5.Qe2. Things start out rather even, but it is still a chess game. Below is another ICC blitz game vs "blik". 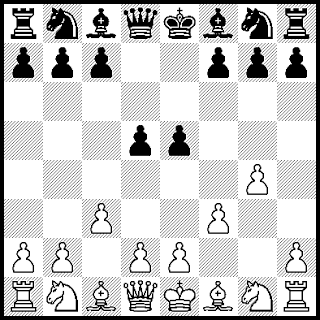 There is an interesting contrast in this game: White plays based on middlegame evaluations while Black plays based on endgame considerations. 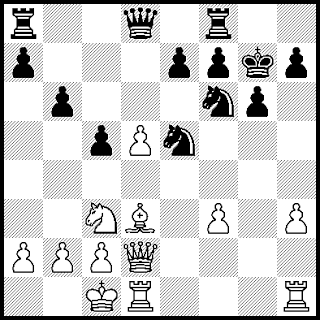 White was slightly better in the middlegame and lost in the endgame. You cannot a Fool's Mate. You just have to notice that your opponent allows it and you win. 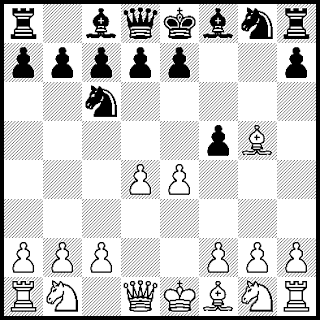 What you are looking for as Black is a weakness in the diagonal h4-e1 early in the game when the White king is still on its original square. Usually White plays 1.e4 or 1.d4 and there is no Fool's Mate likely. 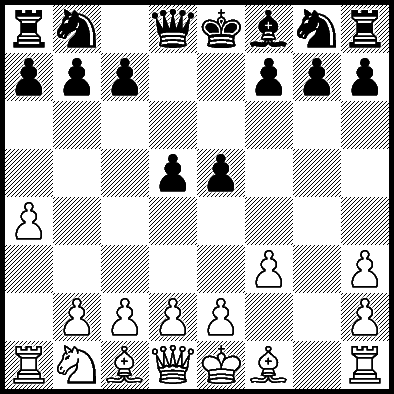 However if one of White's early pawn moves are with the f-pawn, g-pawn, or h-pawn, possibilities open up. Here are five examples that occurred in my own games. What happens with premature kingside expansion? Permanent king elimination. What happens when a beginner plays an expert? Hopefully, the beginner learns a lesson. 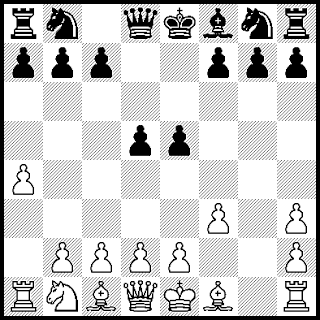 Can a pawn on g3 stop a Fool's Mate? 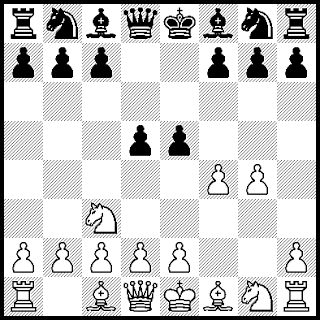 Not when both the h-pawn and f-pawn have moved. 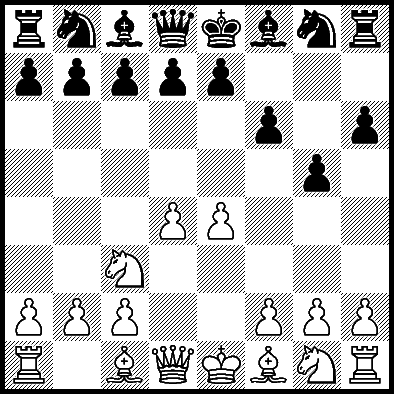 How does Black develop on the queenside and mate quickly? Black notices a serious White weakness on the kingside. Does developing a kingside knight early in the game help? Yes, but... it helps a lot more if the knight is on f3.